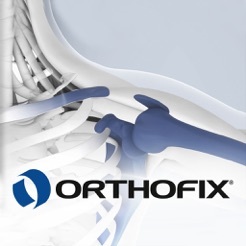 The Orthofix Applications by Anatomical Site App provides Healthcare Professionals the different fractures and deformity treatment options using Orthofix external and/or internal fixation systems. 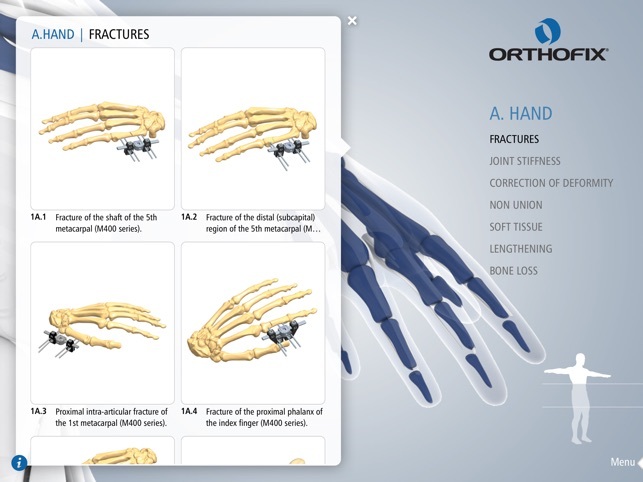 Examples of possible assemblies or devices are illustrated for each anatomical area and further organized by type of application (fractures, joint stiffness, correction of deformity, non-union, lengthening, bone loss, etc.). 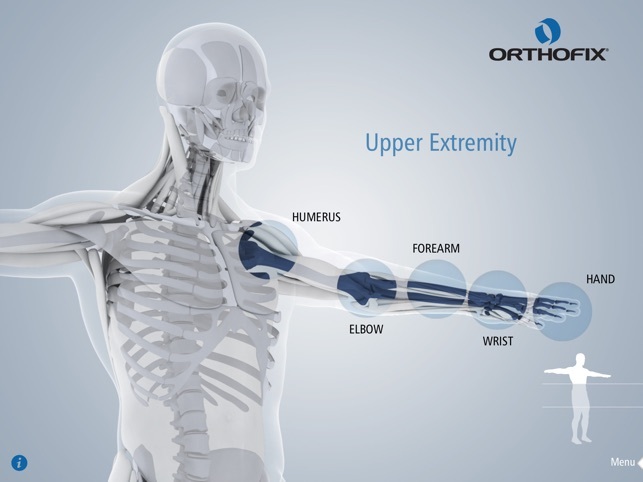 Learn more about Orthofix devices and product solutions from operative techniques, scientific material, videos and web links. 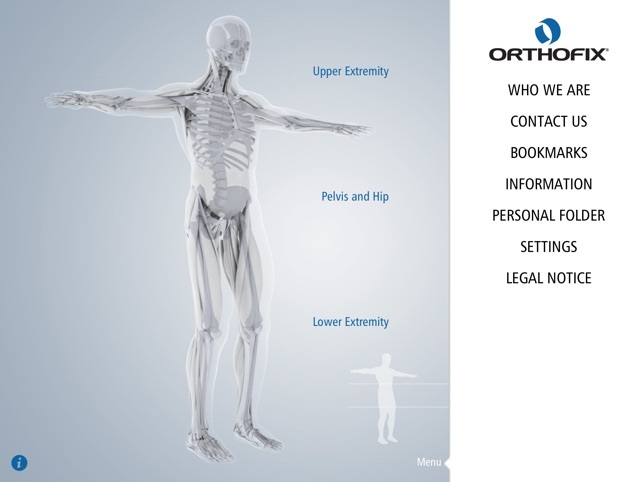 A fracture or deformity can be treated in several ways, with different Orthofix products. The surgeon/HCP can search for the approach that he/she best fits the needs of the patient and the given situation. 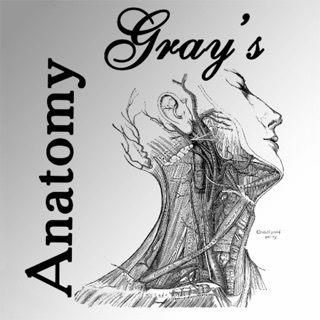 view the wide range of possible applications in the anatomical area you are interested in, e.g. hand surgery. collect all your preferred treatment solutions in a personal folder, adding also personal documents. Get the details with key information. Once the surgeon/HCP selected the treatment solution, view all necessary details including equipment required, product catalogue, operative technique, quick reference guide, videos and instructions for use. Orthofix is constantly innovating, refining, and improving its product range. Periodically updates will be available. Proper surgical procedure is the responsibility of the medical professional. Operative techniques are furnished as an informative guidelines. 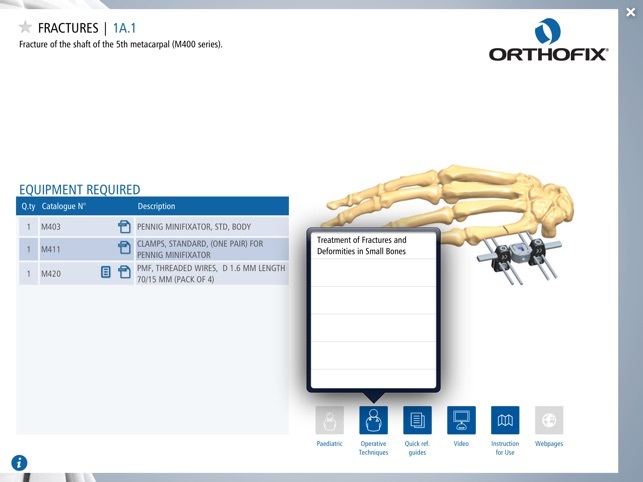 Each surgeon must evaluate the appropriateness of a technique based on his or her personal medical credentials and experience, knowing the information reported in the Orthofix product-specific IFUs. 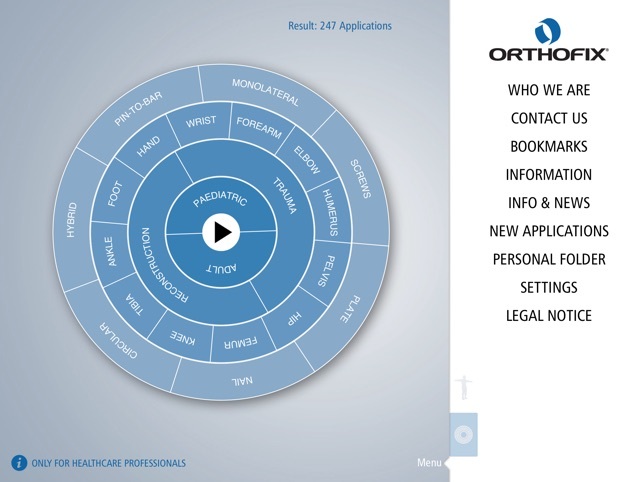 Orthofix ABS does not allow the user to input any patient-specific information along with reference material to automatically diagnose a disease or condition. Great tool !! simple to use and very helpfull. Richiede iOS 5.1.1 o versioni successive. Compatibile con iPad.